Drake and Scull is a regional market leaders, delivering world class quality projects via end to end solutions that provide integrated design, engineering and construction disciplines of Engineering (Mechanical Electrical and Plumbing (MEP) and Water & Power), General Contracting, Rail, Oil and Gas, Infrastructure Development and Wastewater Treatment, through People, Innovation, and Passion. With over 4 decades of unmatched experience in shaping the region’s skylines, Drake & Scull proudly leads from the forefront, ushering in the dynamic face of the modern world. 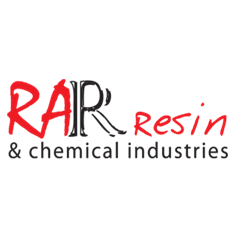 RAR Resin is a Leading Group of companies has its name established not only in the UAE but making a mark in the entire GCC and even far off destinations in the gulf and African countries. The main hub of operations is through its multipurpose and multi product Resin plant located at Dubai-UAE and sooner expanding into Lebanon, KSA and Nigeria to serve at different geographical locations. Our operations started in 1999 under supervision and collaboration with RAR Milano-Italy. We have a state of the art facility which is fully automated plant and supported with well experienced technical staff. Through our constant efforts of R & D we are adding a comprehensive range of products that caters the coating industry and also many of the polyester and allied industries. Within a short period of time in our growth path we are enjoying a preferred supplier status with good quality products and consistent quality. 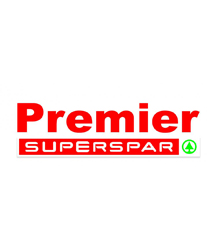 Established in 2002 with a Showroom Area of 3,000 Sq.Mts., PREMIER GROUP is located in the heart of the Main Business District in Maputo, the Capital City of Mozambique; with an Impressive Distribution Network extending up to the farthest interiors of the Country.Adjacent to the Showroom, the Group has Warehousing Facilities admeasuring 7,000 Sq.Mtrs. that ensures immediate supply of goods to the Showroom.Premier Group Trades in Building Materials, Hardware Goods, Hand Tools, Power Tools, Garden Tools, Lighting, Pool Items, Sports Goods, Kitchenware, Toys, Electrical Goods, Branded Electronic Products, Fitness Equipments, Food Items, Cosmetics, Cleaning Products, Home Furnishing, towels, Linens , Hygiene Products, Glassware, Decoration Items and a host of other Variety Items. Silverback Capital Group is an investment company and business advisory firm that manages direct investments on behalf of its shareholders and accords select clients broad financial opportunity, ranging from local and regional relationships to multinational alliances. Silverback Capital Group is comprised of knowledgeable and accomplished professionals whose international business vision and contacts serve as catalysts for the development of our clients’ enterprises. EcoConsulting is a sustainability consultancy with a focus on reworking the relationship between households, industries, businesses and the environment through greater energy-efficiency and better resource use. Experience, creative problem-solving, and extensive information-gathering are key elements in finding cost-effective solutions to environmental issues. The Association for Italian – Mediterranean and Gulf Countries Chamber of Commerce, was reconstituted in form of association in November 1987 by the previus Italian Chamber of Commerce for the Arab countries and of OPEC, founded in 1973. The experience gained in years of work and cooperation with leaders companies allowed the Association to identify and increase an highly professional management in order to offer at its associated an operative collaboration to satisfy their needs and requirement in terms of real advice. 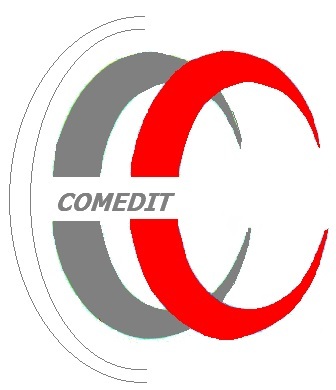 In countries where it operates, COMEDIT has a great ability to penetrate, to be inside, to see through. This is added to a deep knowledge of institutions and local businessman that market recognizes reliable, thanks to their ability to realize projects with “marketing oriented” activities.